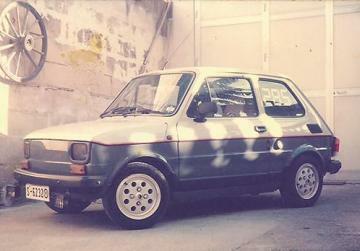 For Mario Scicluna, it all started with a white MGB, Joseph Busuttil from the Old Motors Club says. 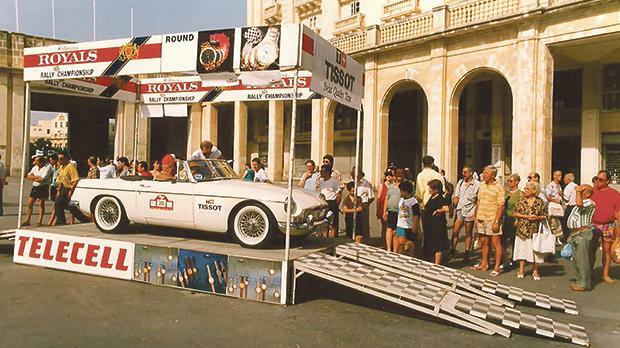 Way back in 1989, a small group of people with a profound passion for old cars, commitment to a cause, and a vivid vision for the future, got together to form the Malta Old Motors Club. Among them was Mario Scicluna, a modest man with sharp organisational and communication skills, who has, over this long period of time, been harnessing his talents voluntarily to the benefit of the OMC and other local motoring groups. As a small boy, Scicluna remembers being present for chassis races up the steep Saqqajja Hill at the foot of Rabat. As expected, Scicluna went straight into the family business after concluding his formal schooling. 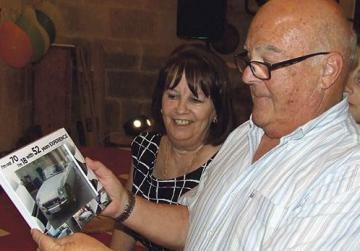 At the Mosta establishment, he fine-tuned his technical and mechanical skills and developed a genuine love for classic cars. Other priorities came in the way, but finally in 1988, he was in a position to fulfil his dream. Scicluna wanted to try the classic car on the road, but it was a rainy day, so he decided to return the next day to test-drive it. He lost no time in acquiring the white 1969 MGB, having an 1800cc engine and five main bearings, which was in excellent condition, and did not need the slightest intervention. Some years ago, Scicluna, assisted by his son Daniel, carried out a complete mechanical overhaul on the vehicle, including re-boring the engine. But he hastens to add that this project was executed more out of want than need. The MGB – a much loved and popular car in Malta – is a two-door sports model manufactured and marketed by the British Motor Corporation as a four cylinder, soft-top roadster from 1962 to 1980. Its innovative, modern and sleek outlook made it an instant hit and its lightweight design reduced production costs while adding to the overall strength of the vehicle. In the OMC, Scicluna has held many committee positions, and is currently the club representative to the Federazzjoni Maltija Vetturi Antiki. For many years, when the OMC was roofless and had nowhere to convene, Scicluna offered his company premises which then also acted as the OMC headquarters. 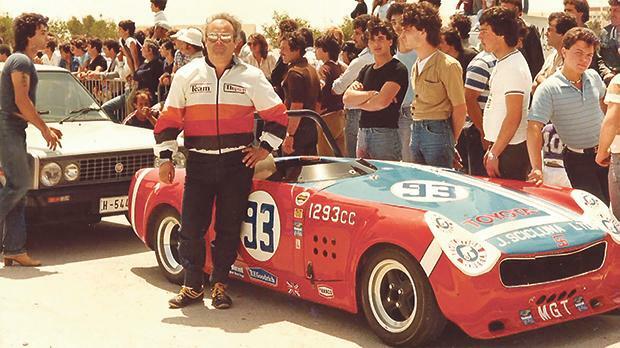 He has also served on the committee of the Island Car Club for a long period, besides participating in their hill climbs in Mtaħleb, Miżieb, Ta’ Qali and Gozo. 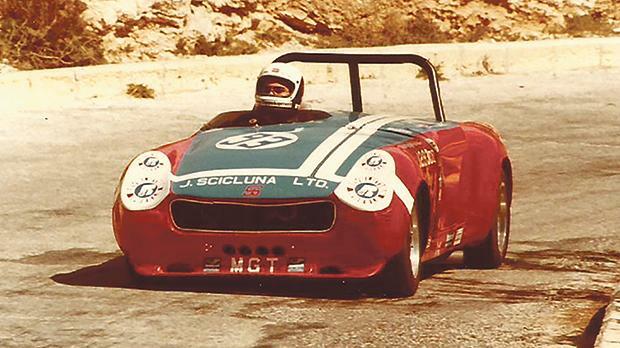 Together with his long-term navigator Gerald Portanier, Scicluna has won many Island Car Club hill climbs with the Austin Healey/Toyota, and OMC rallies with the MGB. Besides local participation, they have also competed overseas, including in the Cavalieri del Minotauro rally between Taormina and Mount Etna. He also derives great pleasure from adjusting to the different demands, rules and regulations, for example in speed and timing, between hill climbs and old motor rallies. Scicluna makes it a point out to do all the technical and mechanical work on his old cars himself, getting a lot of satisfaction in the process. Besides the MGB and the Austin Healey/Toyota, he also has a 1985, charcoal BMW 520i, model E28, which he bought brand new, using it only occasionally at weekends, and consequently still in showroom condition. At one time, he also owned a 1955 Ford 8 which he was yearning to bring back to active life, but alas, he did not find the time to go into a full nut and bolt restoration project, and consequently had to sell it. Scicluna says that while his wife Mona sometimes goes with him to OMC activities, she does so more out of a sense of companionship than a passion for old motors. As to the local scene, he is excited at the steady influx of new classic vehicles from abroad, emphasising that this augurs well for the future of old motors in Malta. However, he rues about two realities that clearly bother him. “The first one is the lack of participation by classic car owners in old motors events. There is now on offer a varied and tempting menu of activities to suit all tastes at all places, including at our own historic headquarters in Mosta. But out of the hundreds of members, only the same few dozen faces turn up. “The second is the fact that sponsors for old motoring events are hard to come by, as most companies approached believe that sponsoring such activities is wasted money,” he concludes.